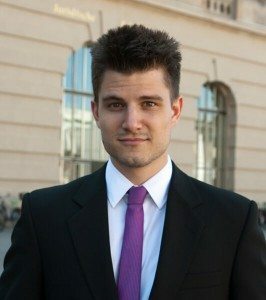 The Diamond 4Cs - How to use them to your advantage? “Diamonds are a girl’s best friend” sang Marilyn Monroe in the 40’s. While James Bond has immortalized “Diamonds are forever” in the silver screen in the 70’s. And with a theatrical coating of love pop music, Shirley Bassey transformed the line into a powerful feminist anthem. Today, Rihanna advises you to shine bright – like what you truly are – a diamond! The timeless beauty of diamonds has taken the world by storm since they’re unearthing. This glorious gem has become the ultimate engagement ring and is worn by the biggest stars and royalties in history. With no questions asked, we trust that diamonds will always be beautiful and spectacular, and as long as it sparkles, it’s approved to be presented to the future wife. Well, that thought changes today. As you read on, you’ll learn that the diamond’s beauty is skin deep, or shall I say, table deep. You’ll be surprised at how there’s actual numbers involved in finding the perfect stone! And if you’ll get to know your Diamond ABCs, you can own the most brilliant gem without paying for a premium! 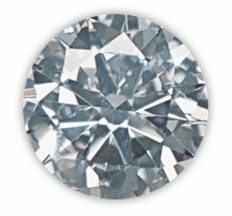 It’s refreshing for a beginner to know that you can actually choose a diamond, not just from how it looks, but also through its proportions. 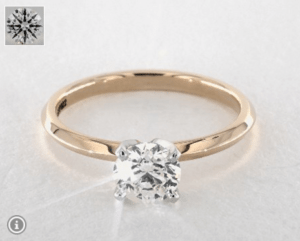 Because these dimensions determine the “sparkle” or in the diamond lingo – the fire, brilliance, and scintillation of the gem. Don’t worry, we’ll be tackling that later! For now, we’ll start with a simple criteria for finding the best diamond. We call it the 4Cs. No two diamonds are alike. This line isn’t just a boost for advertising, but it’s a well-known fact that each diamond contains a variety of factors which affect its quality. GIA created the 4Cs to make diamond shopping more practical and to protect you from making a bad purchase. As a modern shopper, having knowledge of the diamond 4Cs will make your selection process more accurate and personable. You could avoid paying thousands of dollars for premium features that you cannot appreciate with your bare eyes. Today, the 4Cs is not just used to gauge the quality of every diamond, but it also serves as a universal language between makers, vendors, and shoppers around the world. 1. Cut – Discover Why Cut is King! The cut rules the 4Cs. It’s often mistaken as the diamond’s shape i.e. 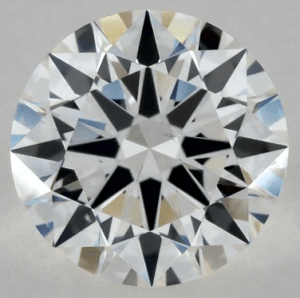 round cut, pear cut, and so on, but it actually refers to the specific proportions of a diamond that craft how well the light is reflected to the viewer’s eye. Brilliance – the light reflected in and out of the diamond. Having perfect proportions will prevent light leakage and thus, make the gem appear brighter. Fire – the light dispersion that appears as flashes of rainbow colors. It's beautifully seen on darker environments like at a candlelit dinner. Scintillation – the pattern of dark and light facets that intensely sparkles when the diamond is moved. It's usually seen in office lighting environments – opposite of where fire can be seen. A bad cut will make any diamond look lifeless. An excellent cut, however, will make your diamond sparkle and scintillate in the most mesmerizing way. Exhibits optimal fire and brilliance as virtually all the light that enters is reflected by the diamond to the viewer's eye. When seen from the top-down view, it can show an asymmetrical pattern of light and dark spots. It can also show dullness. Good Cuts don’t reflect light as much as the higher grades because their fire, brilliance, and scintillation are not up to par. 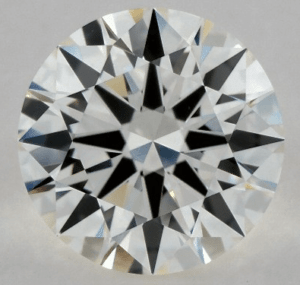 This cut grade doesn’t retain the light entering the diamond, so the perceived fire and brilliance is greatly reduced. Poor Cuts are dull even when seen without magnification tools. It’s completely worthless and is a bad value for money. Note: Fair and poor cut grades are so disastrous that most shops don't even sell them! 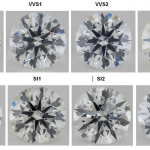 The diamond on the right doesn’t just bear an excellent cut, but also a Hearts and Arrows pattern – the ultimate indication that your gem has precise optical symmetry and superior light performance. While the Good Cut on the left bears uneven proportions, a very thick girdle, and a deep cut that makes it scintillate far less than the super ideal cut gem. 2. 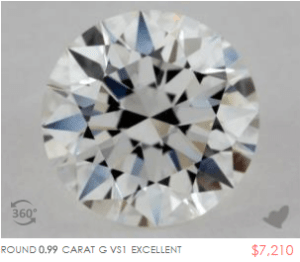 Carat Weight – Size Does Matter! 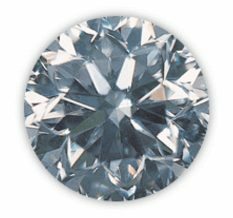 The first question friends and relatives will ask you about your diamond will most likely be “How many carats?” This question answers superficial concerns, in my opinion, as the question of “What cut grade?” would be more important. But it can't be denied that a bigger gem has more light to reflect and thus, a bigger bling-factor! Given apples to apples, price increases with carat weight because bigger gems are rarer, and rarity is more in-demand. 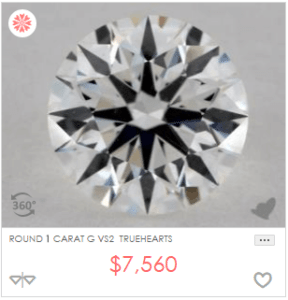 There’s also what we call “magical marks” such as 0.50, 0.75, and 1 carat that are priced higher simply because they’re considered as popular carat sizes. 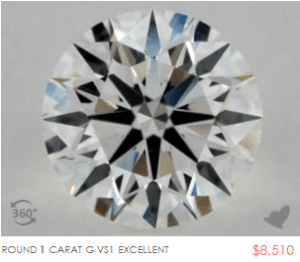 The difference in diameter between 0.99ct and 1ct is unnoticeable, but the price increase is huge! 3. Color – Where You Can Save a Lot of Money! The most desirable color for a diamond is actually no-color! In other words, the purest, most transparent or icy-white-looking gem bears the highest value. GIA’s color grading may possess minute distinctions that are invisible to the naked eye, but these distinctions greatly contribute to the quality and price of the gem. Now, consumers are made to believe that they must opt for the highest color grade. However, if you really want to get the biggest bang for your buck, there is no need to go for the highest. Even if you choose a diamond that’s several color grades lower, it will still look completely colorless! Additionally, there are specific color grades that go with your preferred diamond shape and ring metal. This could save you tremendous amounts of money without lowering the quality of the gem! 4. Clarity – The Trade Secret You Should Know About! 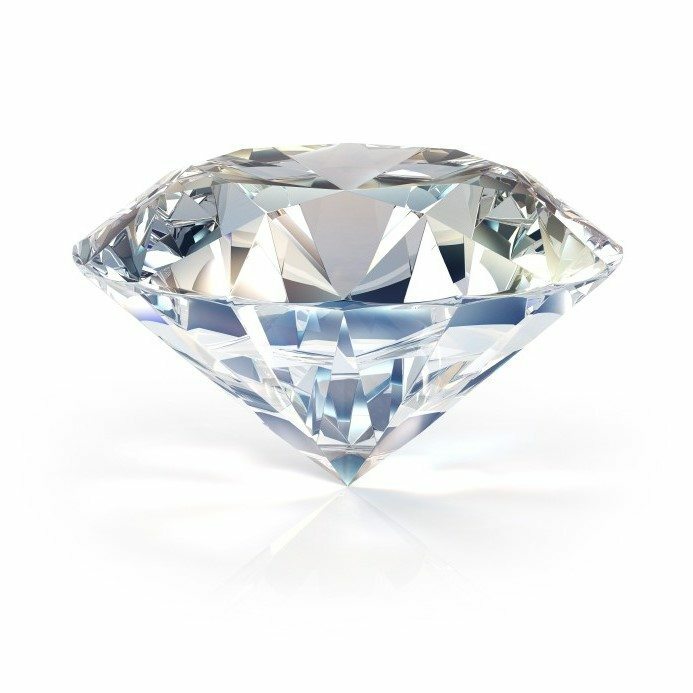 Diamond Clarity is the topic where I see a majority of readers being misguided by a misconception. Many people think that they better choose one of the best clarity grades to make sure that their diamond won’t have any inclusions. The reality is, nearly every diamond on the planet has inclusions. While no diamond is faultless, the closer it is to purity, the higher its value. What you should be focusing on, however, is to have an eye-clean diamond. Because if you want to get the best value for your money, it won’t matter if you’re able to find an inclusion with a 10x loupe as long as you can't see it with your bare eyes. 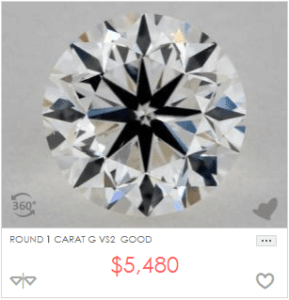 These days, smart shopping doesn’t only mean checking your diamond’s grading certificate because apparently, it is not enough. Beyond what the diamond report can offer, seeing your gem’s actual photos will make a huge difference! 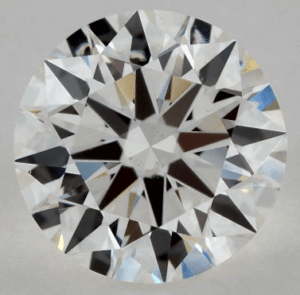 Sometimes, even the littlest flaw can affect the light performance and appearance of the diamond. And this is why it’s important to view your gem in person – or even better – in 40x zoom and 360° diamond display technology. James Allen is currently the only vendor that offers this unique imagery and it’s what sets them apart from other online and physical stores. Although diamonds are forever captured in our films and poems as a dreamy symbol of love, the articles above are fashioned in a different approach. Each post is meant to teach you the professional, yet practical ways to learn more about diamonds. And in return, maximize your budget and eventually save you money! Should you have further questions, please don’t hesitate to write to me. Cheers! 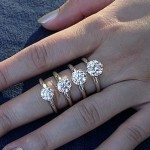 Can you write a piece about pear shape diamonds and how to pick a good one? I learned a lot about the diamonds 4Cs on your website. So, you think that color is the best place to compromise on? yes I think that both color and clarity are the best places to compromise on. You can compromise on it in a way that will still look like the best grade but cost you considerably less money!